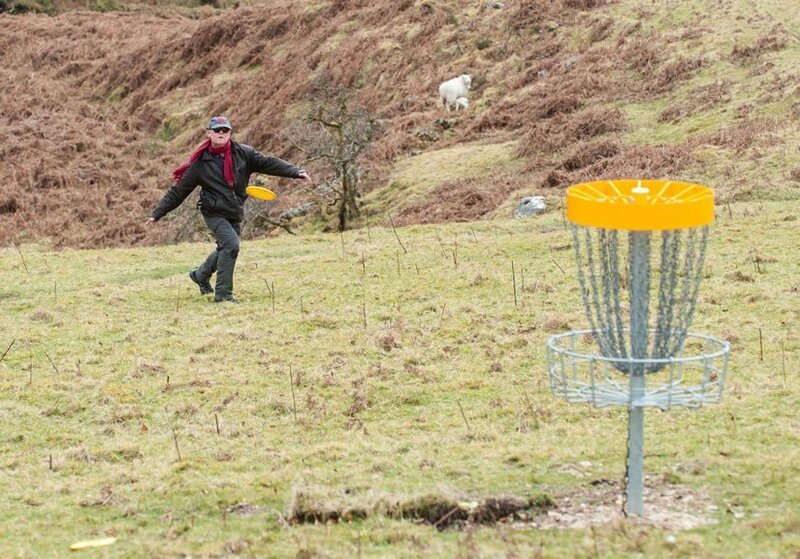 Disc Golf now also at Kippure Estate. Great fun for all! 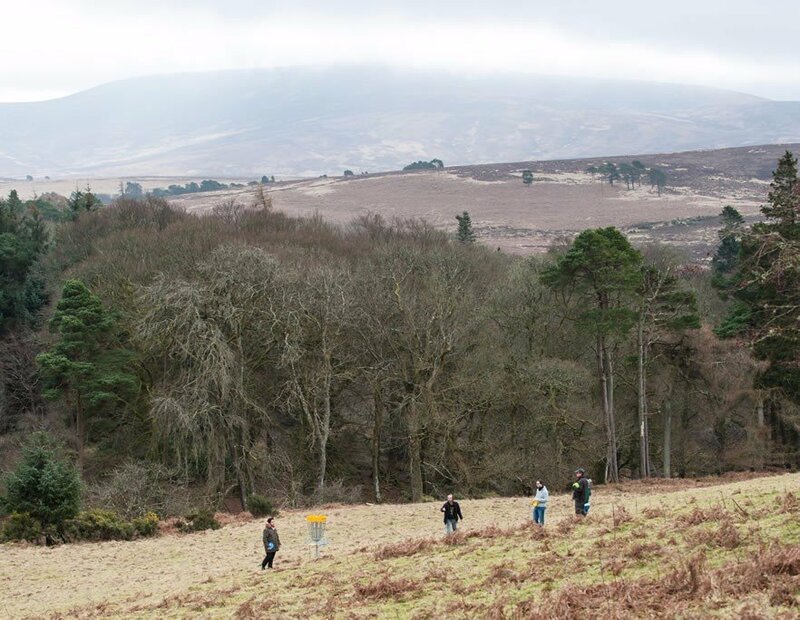 Disc Golf in Ireland now also at Kippure Estate. Guaranteed Fun for All! 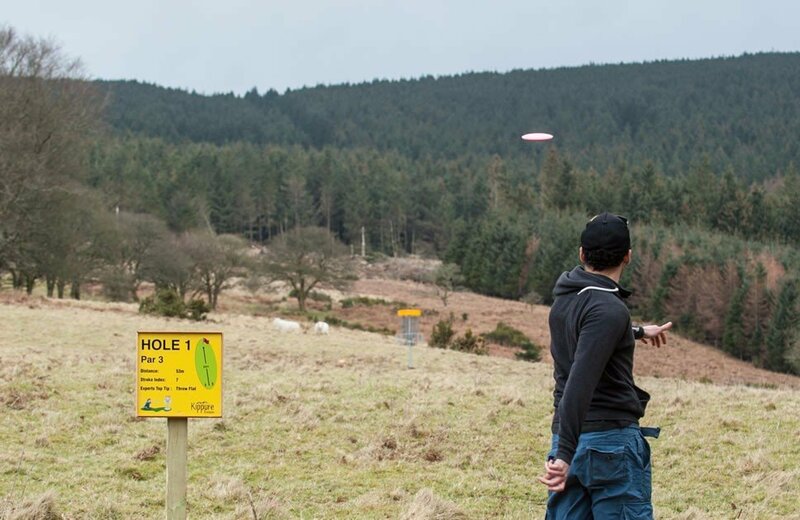 Disc Golf: What is it? 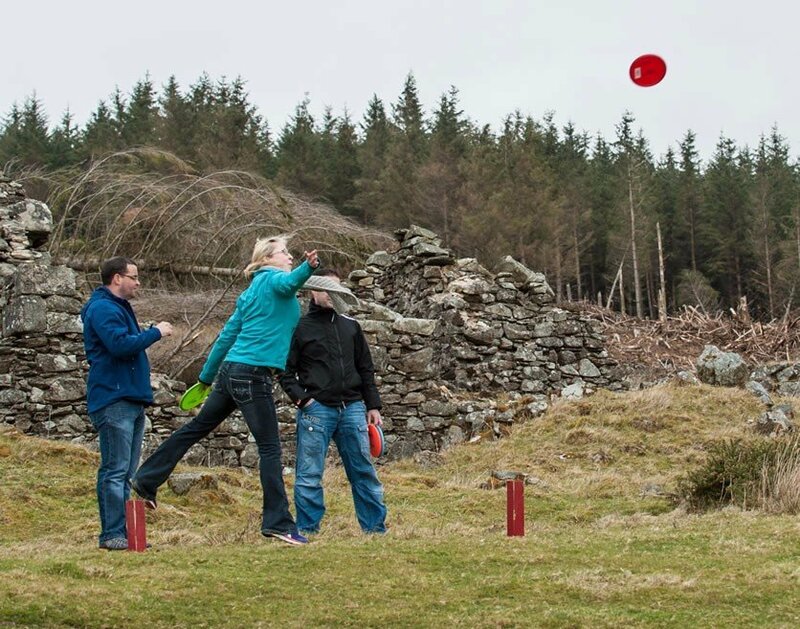 It’s already huge in America, and now you can play it also at Kippure Estate. 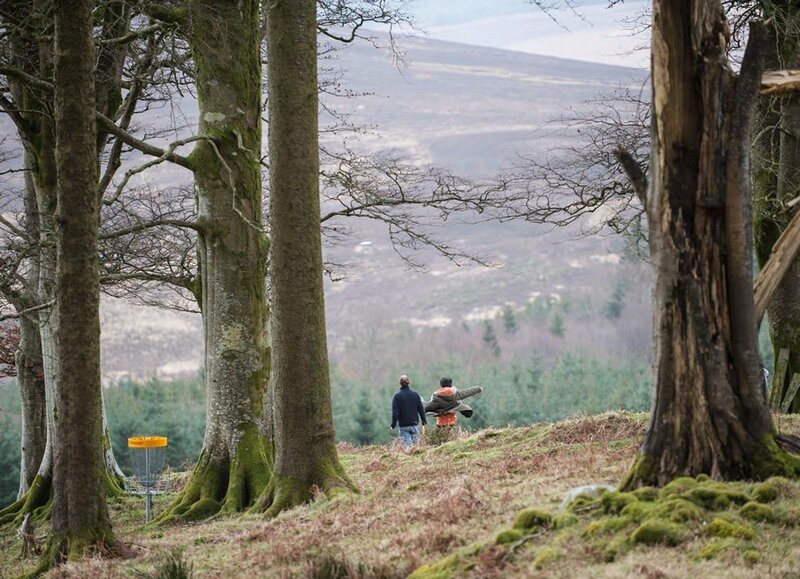 Like conventional golf, you need to work your way around the course, completing holes in the fewest number of strokes. 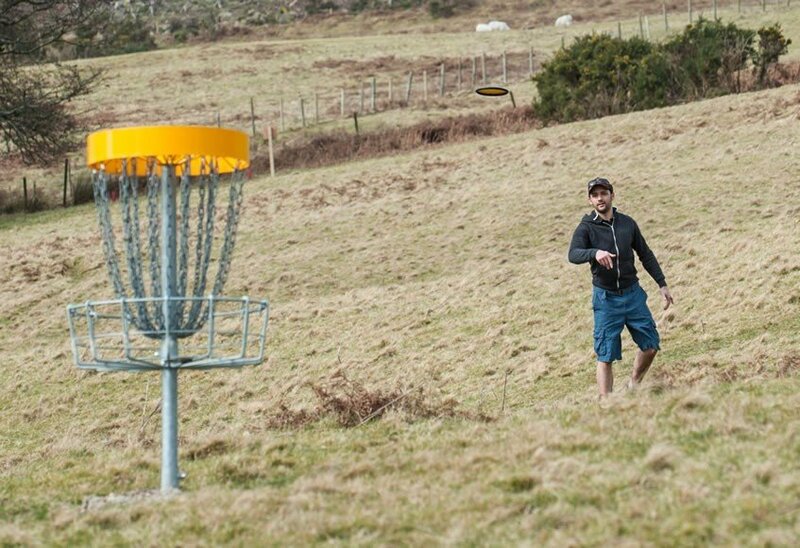 However, you won’t be using balls or clubs, you’ll be playing golf with a Frisbee™! 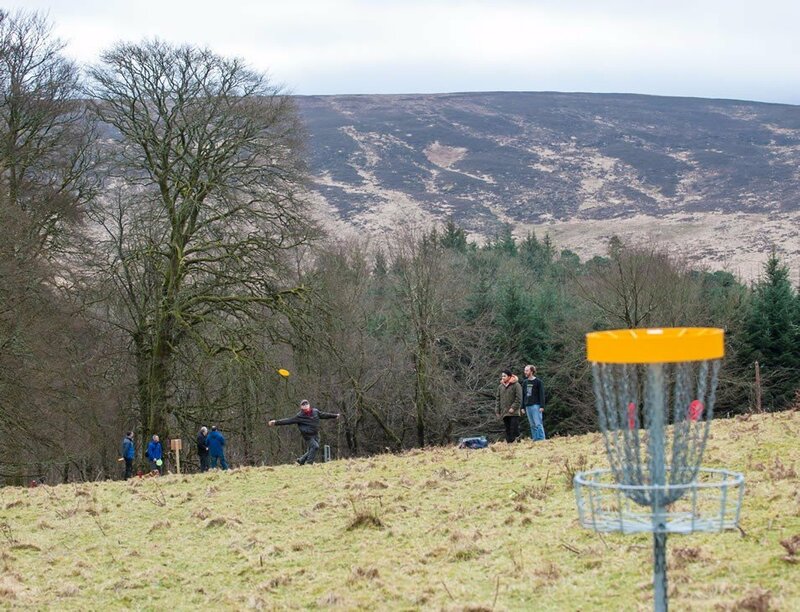 Kippure Estate offers the ideal location for this fun-filled sport. 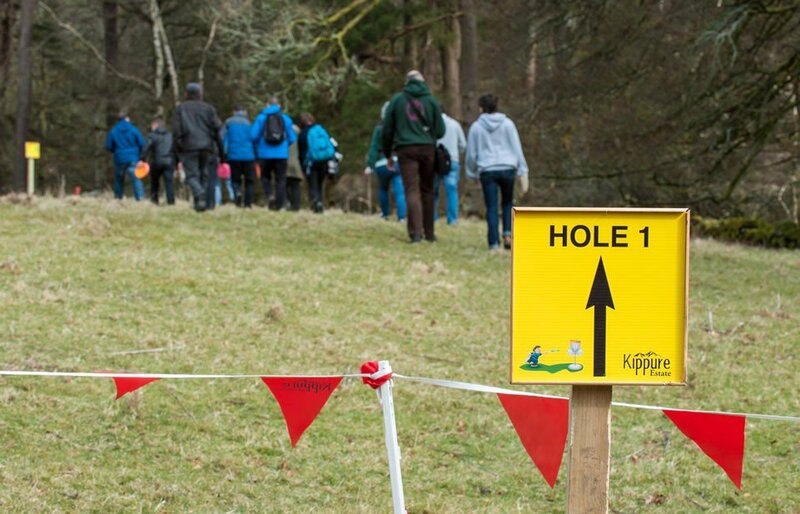 You and your family can enjoy the beautiful natural surroundings, whilst taking part in some light-hearted competition at the same time. 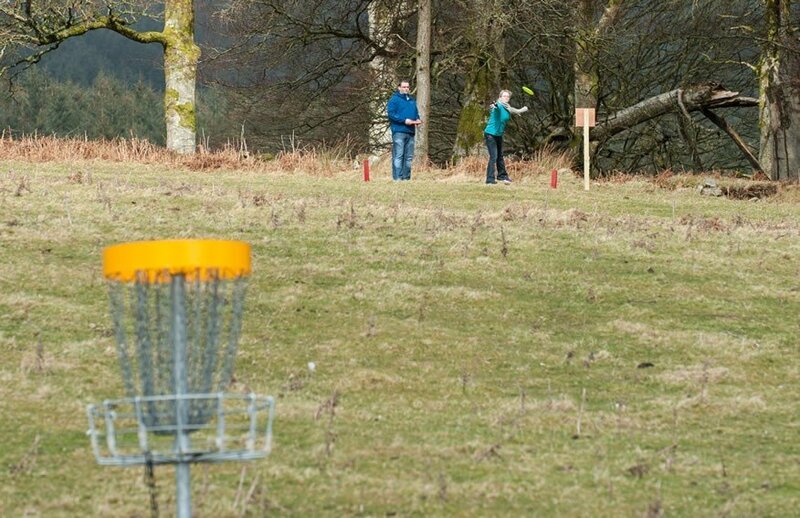 Always be respectful of other players, plants and wildlife; and only throw your disc when the landing area is clear. 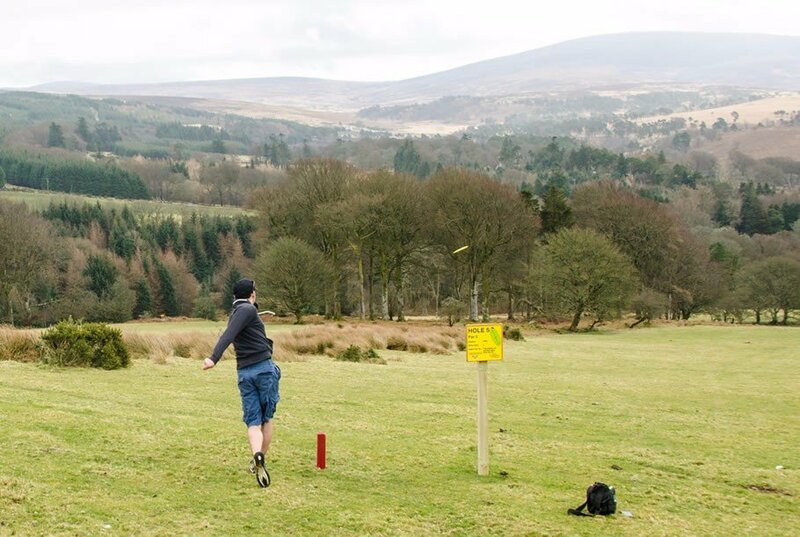 Start your game from between the two red posts, which is called the teeing area. You must stand behind this point. 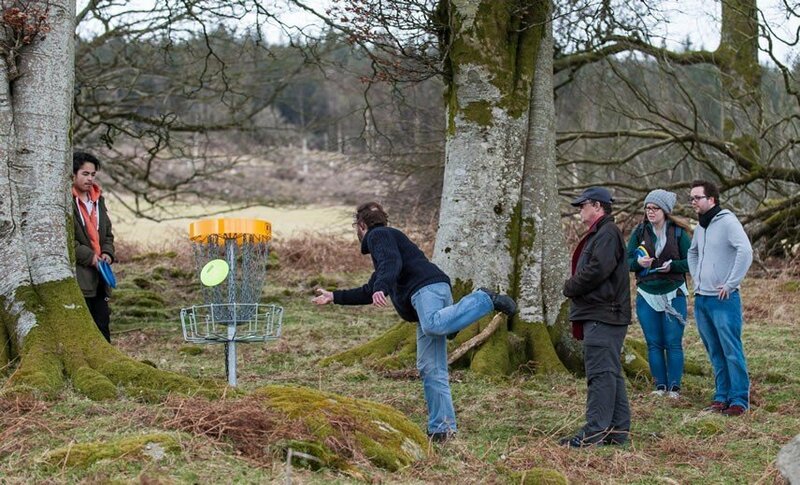 Following shots should be played from behind the spot where your last throw landed. This spot is called the ‘lie’. 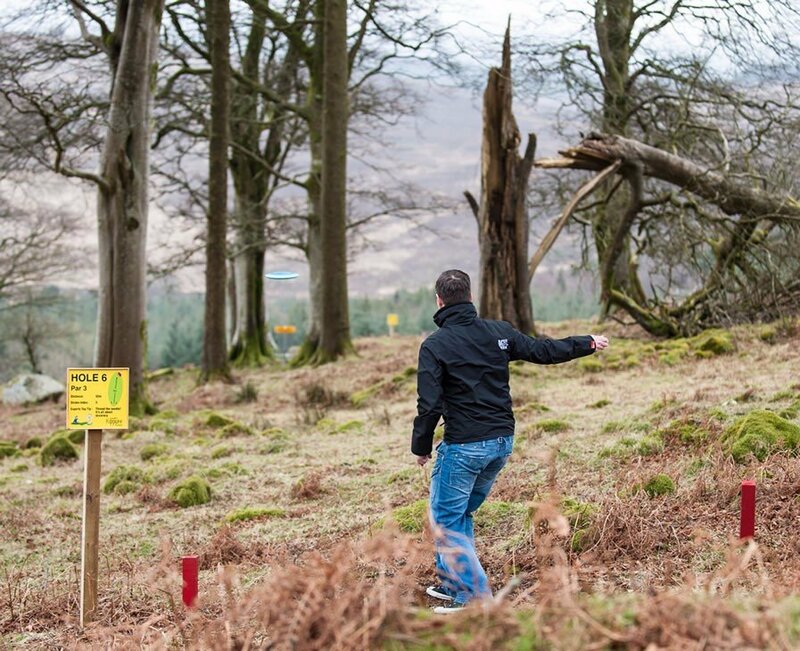 If you throw your disc into a bush or tree, then the ‘lie’ is the area directly below on the ground. 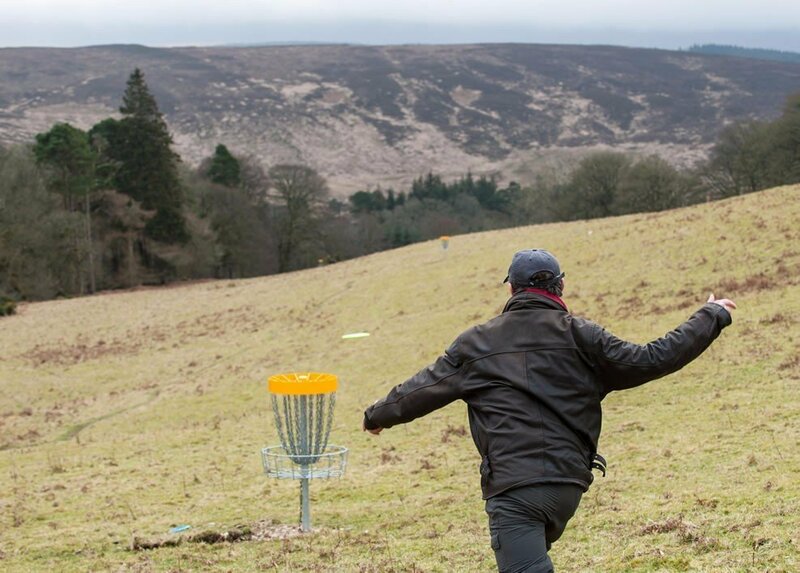 You’re allowed a run-up when throwing and a follow through, but you have to release your disc before you step past the ‘lie’. If you’re within 10 metres of your target, you’re in the putting zone. 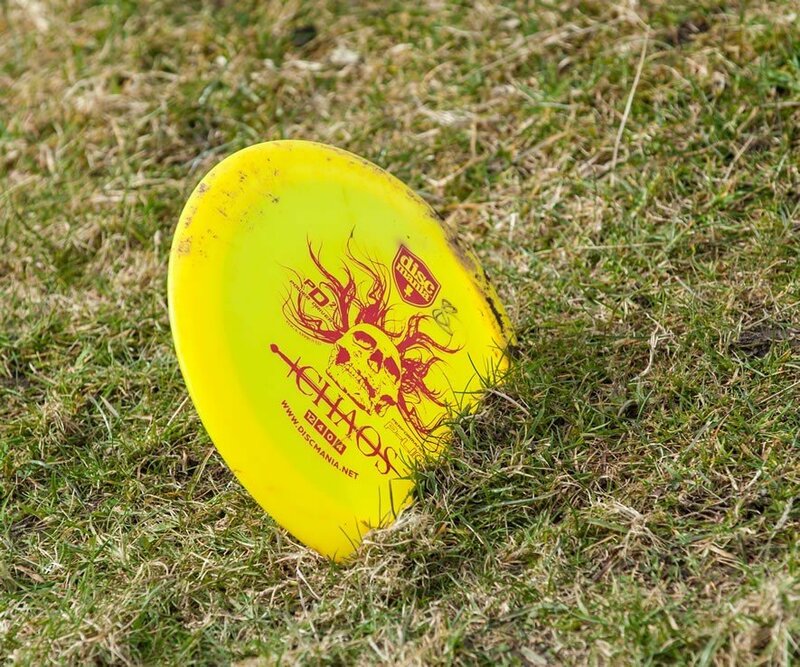 You’re not allowed to step past the lie until your disc lands. 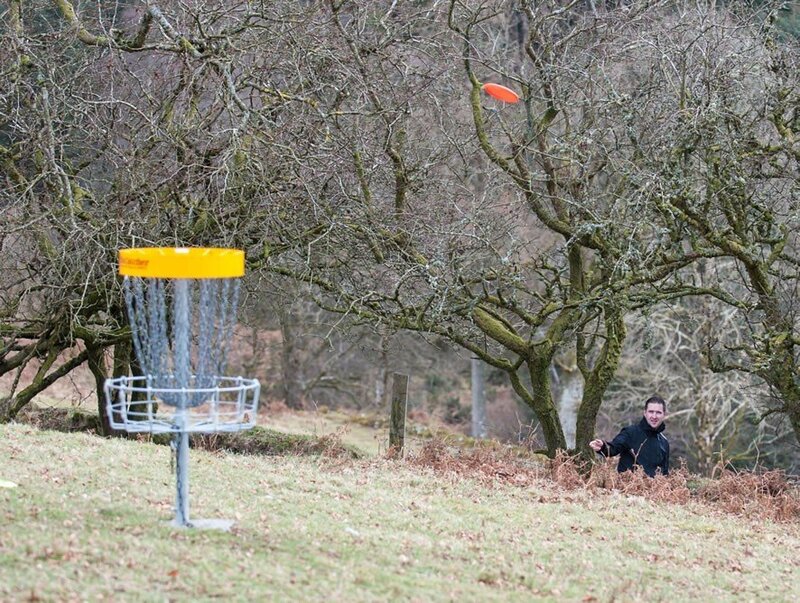 You’ll have completed your hole when your disc lands in the chains or basket. If it lands on the top of the target, this doesn’t count! Keep the surroundings tidy, and take all rubbish home. 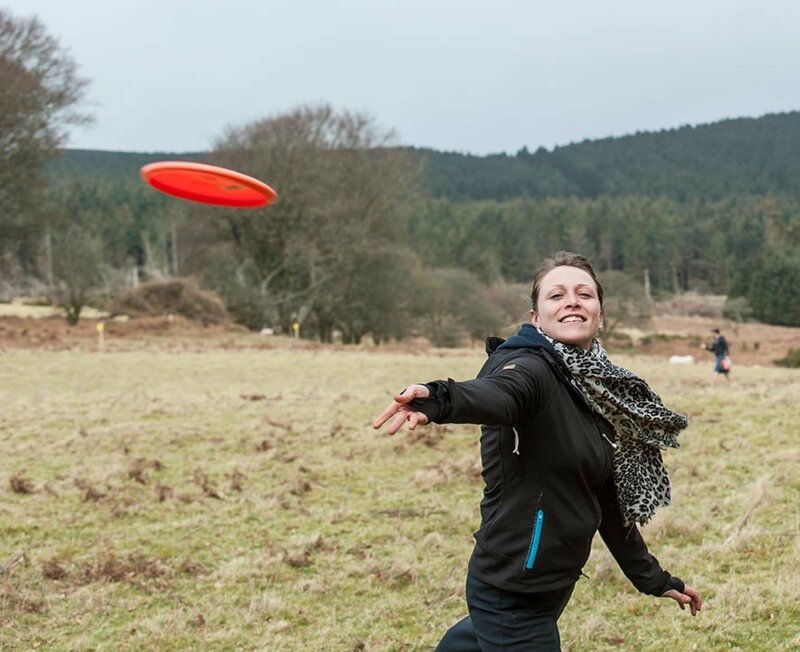 At present, you can enjoy a round of Disc Golf for €5 per person. A refundable deposit of €20 per disc will apply. We accept cash or credit card. The game can be played by anyone above the age of 6. The course is open daily, from 9am to 4pm (4pm last tee-off). Please come to reception to pay and to receive your disc. Call 01-458 2889 for further information.